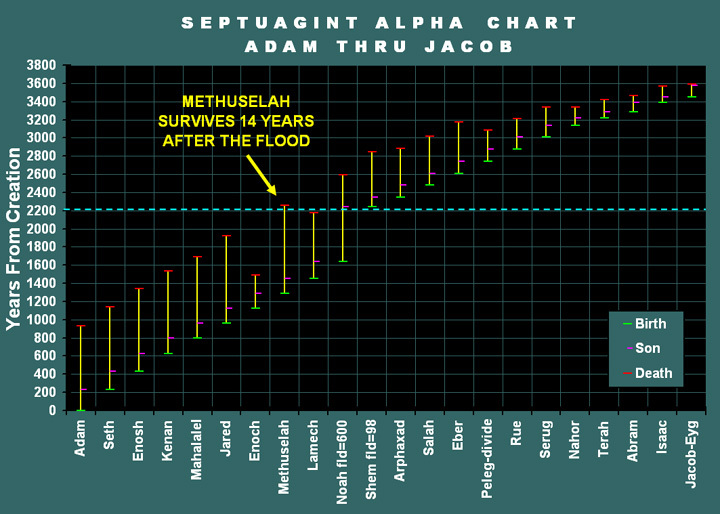 the Flood of Noah and the birth year of Abraham as dated from the creation of Adam. which is the year that began the flood of Noah. 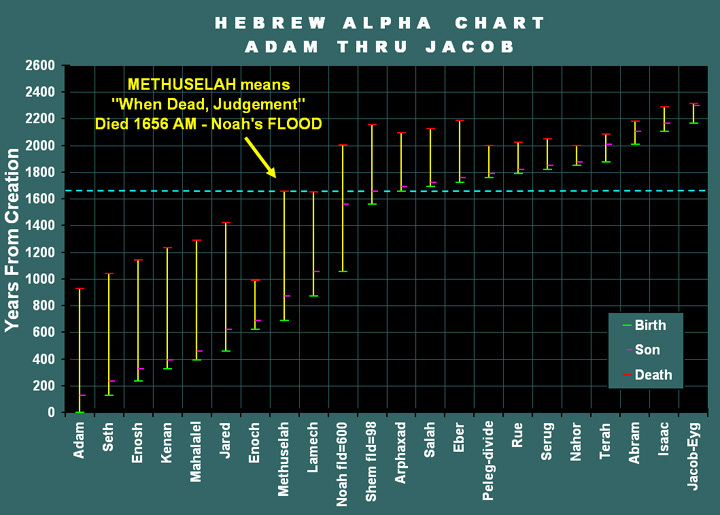 Note: chart above corrects Eusebius' mistake of assigning Terah's age of 70 at Abrams birth instead of 130.
woman, and child that was not on board the ark of safety.